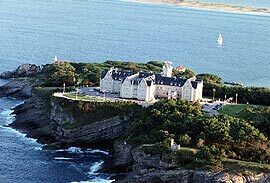 Santander offers a city atmosphere combined with the very essence of Cantabria: beaches, countryside, nature, gastronomy and culture. The city is built around a natural port. The capital, Santander, has some interesting historical buildings: the Crypt of Christ (13th century), the Pronillo palace (16th-17th century), the church of La Compañía (16th-17th century), etc. We show your our proposals in order that you can programme your excursions. You will not repent, every place is unique and different.